Iconic foods and drinks define the Lebanese identity, as the culture is rich with various traditions. In some areas of Lebanon, a feast is never complete without a glass of arak, the country’s national drink. This grape-based beverage seems to be as much a part of the country’s culinary history as tabbouleh, and is popular with tourists and locals alike. 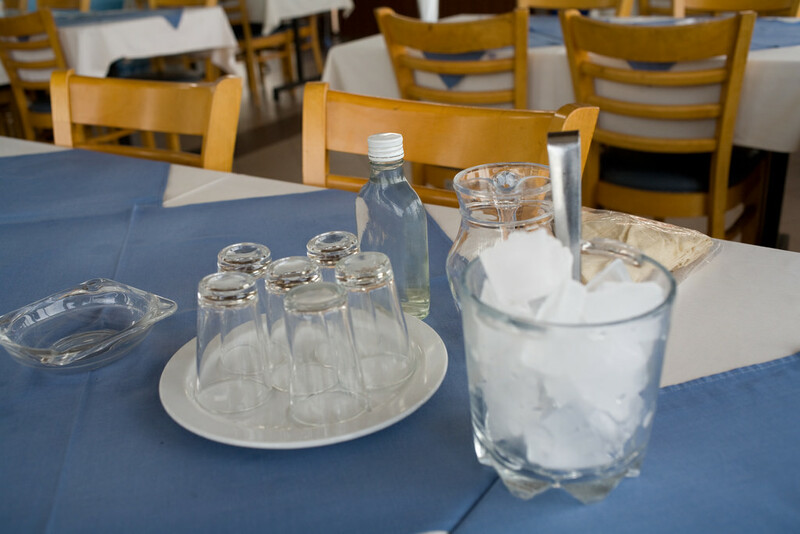 Arak is a traditional Lebanese alcoholic beverage, typically served in small glasses and consumed with mezze platters. It’s distilled from grape vines and left to ferment in barrels for three weeks; the easy production process is a source of pride to local villagers who boast about their home-made arak baladeh. These people typically produce arak for personal use or as a gift to friends. A lot of ceremony surrounds the tipple: first, the spirit is diluted in an abarik (vessel) until it’s one-third alcohol and two-thirds water – turning the liquid white. Then the concoction is poured into ice-filled glasses, which makes for a rather unpleasant layer of solidified oil. This is why part of the tradition is to always pour a fresh glass of arak, instead of topping up an existing cup. The drink is most popular in Syria and Lebanon, as it’s made here locally and is an indivisible part of the identity. There are, however, different versions in Iraq, where it’s distilled from date juice, and in Egypt, where it’s made from raisins. You won’t have to search far to sample the aniseed-tasting tipple in Lebanon: it’s a landmark of the national cuisine and will typically be offered to tourists in restaurants. Be warned, though, the 53%-60% alcoholic volume has rightfully earned it the nickname “The Milk of Lions”.